Keeping silt and sediment runoff under control is vital to prevent these contaminants entering the stormwater system — and, after that, natural bodies of water. Silt Socks are designed to sit in a gutter or around drains, and provide a temporary control for sediment runoff and trap silt and sediment before it has the chance to enter the stormwater system. They are constructed from robust non-woven geotextile filter cloth and typically filled with aggregate. For use on any land-based spills containing sediment and silt, designed to sit in gutters or around drains. 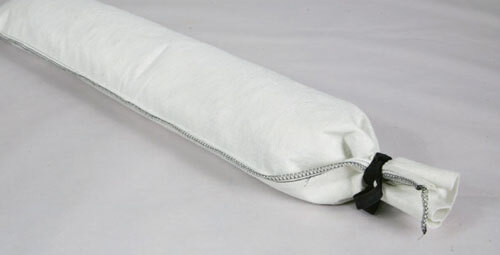 Made from robust geotextile filter cloth. Easy to fill with aggregate.